Heated/ventilated outdoor enclosures for evaporative humidifiers ship to the job site completely assembled, so installation is a snap. Third-party tests ensure that outdoor enclosures provide reliable operation under extreme conditions. The GTS® (gas-to-steam) humidifier outdoor enclosure is CSA certified for outdoor operation, and the STS® (steam-to-steam) humidifier and Vaporstream® humidifier outdoor enclosures are ETL approved for outdoor operations. Weather covers for Vaporstream and STS humidifiers are fully assembled at the factory to protect against wind, sun, and rain. Install on the ground or on the roof. Outdoor enclosures are ideal for facilities that have limited interior space. Easy access for service. Steel enclosure doors provide full access to all internal components. Protects in cold and hot climates. To ensure complete safety and operation in all climates, the outdoor enclosure has supplemental heating and ventilating systems that automatically maintain required operation conditions. 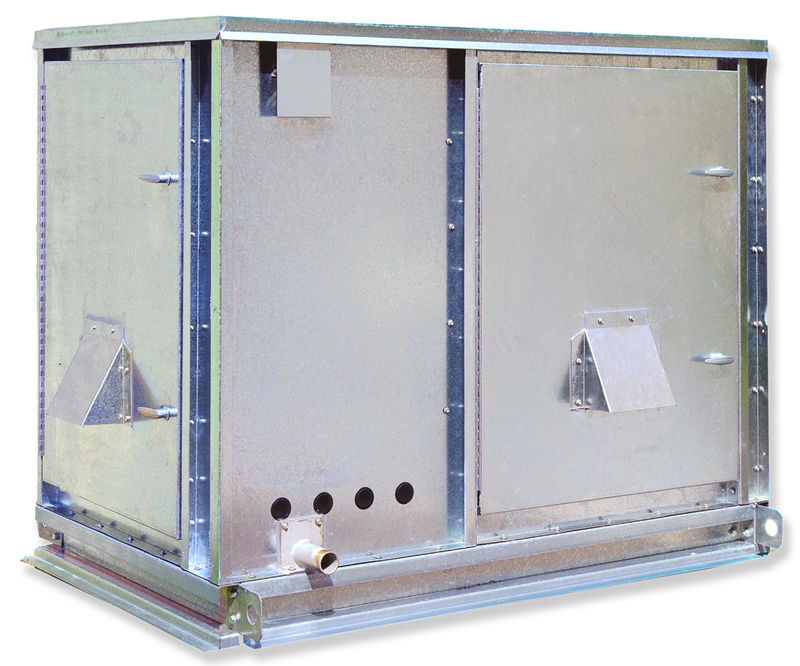 The outdoor enclosure is ruggedly built to completely protect internal components.